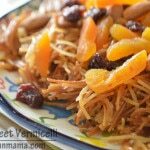 These nests are so crunchy and just the right sweetness, they are baked instead of fried and they are the easiest kunafa to make. Bite sized nutty kunafa nests will be your new game day recipe or as an Easter dessert. 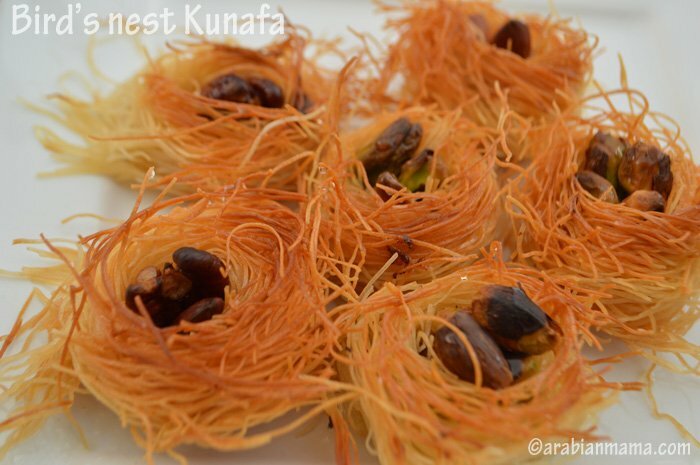 Kunafa is a popular dessert specially during the holy month of Ramadan. One of my mama’s specialties, everyone in my big family rush to her for her special kunafa with cream, did I tell you before that this woman is amazing in almost every aspect in life!!! 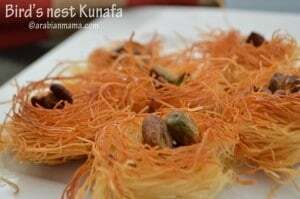 Because I did not know her secret till today, I’m just trying my hands in the easy kunafa recipes and these nests are really very easy to make and requires no skills at all. 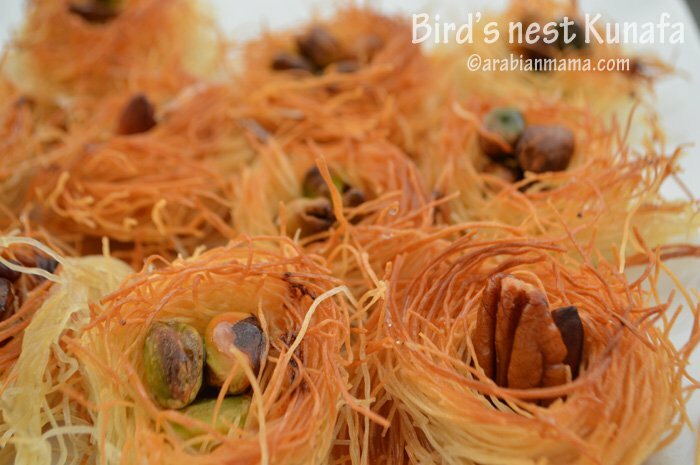 These nests are usually fried but I like them baked and drizzled with the syrup. Because it is football season, I thought these might be the right time for this recipe to entertain your guests and not standing the whole day in the kitchen as well. These also look very cool in Spring season if you are having an Eater banquet. 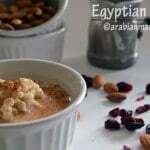 Here is a short video on how to prepare this easy dessert … Enjoy your weekend. Gently pull a small punch of kunafa and cover the rest so it will not get dry. 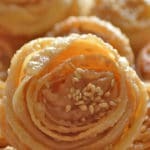 Brush the kunafa with melted butter then roll around one,two or even three fingers depending on the desired size. Now fill your nests with your favorite nuts. Bake until golden brown then drizzle while hot with syrup. 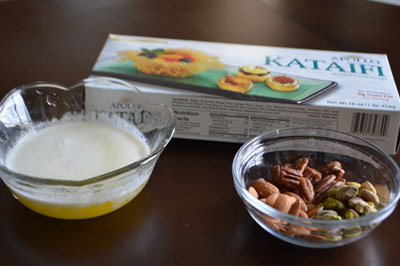 Really much simpler than one would think, now I have to find Kataifi! I love Kunafa….I haven’t had it in several years…maybe I should make some! Beautiful and you make it look so easy!